Governor Scott Walker says Republicans will have to stay mobilized in 2016, if they want to maintain control of the Wisconsin legislature and hang on to one of the state’s U.S. Senate seats. 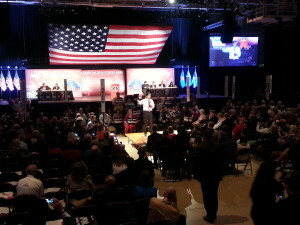 Speaking to delegates at the Republican Party of Wisconsin’s state convention in La Crosse this weekend, Walker said there are many people who will try to take advantage of 2016 to take aim at those upset with his agenda. “Without a governor on the ballot…a lot of those groups that went after me are going to go after members of the Assembly and the Senate, because they’re fighting mad about some of the reforms we’ve done,” Walker said. 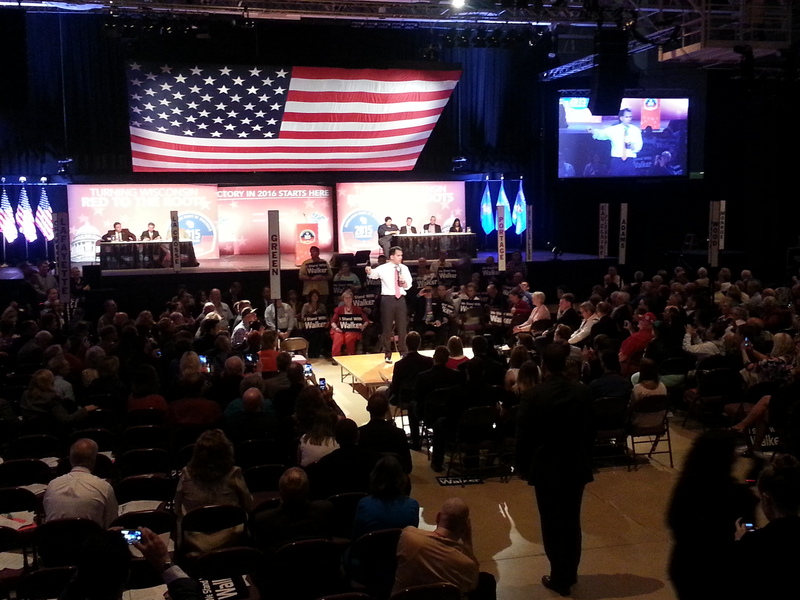 While most convention speakers addressed the crowd from a large stage, Walker favored a closer interaction. He gave his speech from a smaller stage set up in the center of the crowd, with delegates seated around him. One detail missing from Walker’s convention speech was much of a mention about his potential plans in 2016. The governor, who continues to consider a presidential run, made no mention about that possibility. The closest he came was when mentioning that Wisconsin has not backed a Republican presidential candidate since 1984, something Walker said “we’re going to change” next year. The governor left the convention in La Crosse to head to Iowa, where he had multiple visits scheduled for Saturday.